The Mother of Pearl Wood Cremation Urn is made from fine walnut wood with a medium mocha stain and a satin finish. 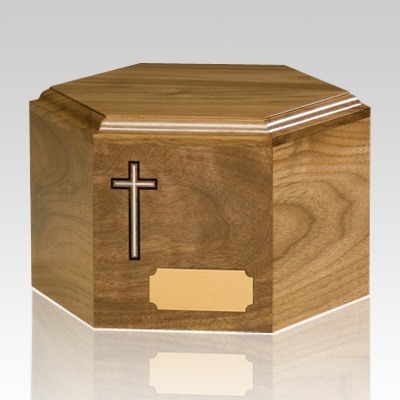 The face of the urn is highlighted with a laser engraved cross which has been inlaid with mother of pearl. 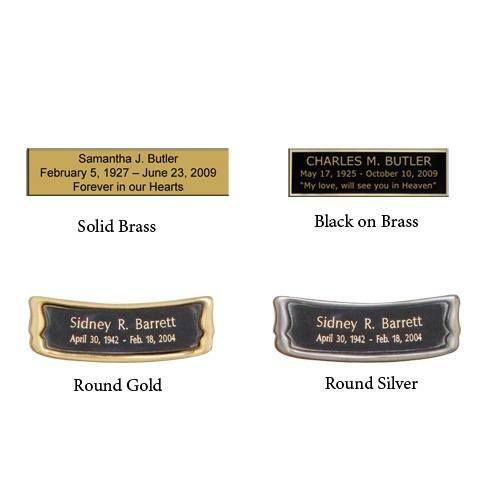 Personalization is included as shown. "I want to thank you. The urn was beautiful. In fact, the gentleman who dug the grave and the cemetery caretaker scrambled to find a heavy plastic bag in which to place the urn so that it wouldn't get wet. They loved it too. The urn came on the day promised and was securely packed for safe travel. We are impressed with your service."